There are so many things one can do with essential oils. Once you have discovered essential oils and diffused them usually you want to find out what else you can do with these wonderful scents. These precious essences from plants can also be very powerful medicines. They can also be blended to make a delightful scent to wear. In this class we are going to investigate these two areas. 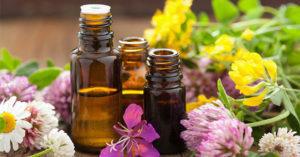 How to effectively blend oils for therapeutic use and how to blend them as your identifying scent. This class is designed to be informative ( a little technical info on the oils), fun (there will be some making going on) and easy to understand. You will walk away with enough information & tools to use at home. I bring balance to using essential oils. There is so much information out there by the MLM companies and their disciples. A lot of the information that is incorrect and misleading. I bring an approach to using essential oils that utilizes them where they shine and have no problem saying things like, “multivitamins should NOT be made up of essential oils”. You will learn when to use them and when not to use them. 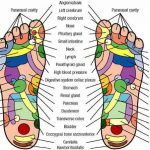 Barbara Myers brings these essential oils to life and demonstrates how easy it is to work with them. You must register to attend this class.